Floppy version prompts for the manual. CD version has a disc check. The CD-ROM version has partial voice acting. 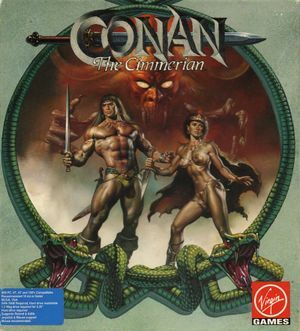 Run the game with START.EXE instead of CONAN.EXE. For the floppy version, the riddle of steel copy protection prompt will still appear. Floppy versions are text only.